Villa Group’s Villa del Palmar Timeshare resorts have a long standing reputation for providing luxurious and family value vacations for all its guests. For more than 30 years, the best resort destinations around Mexico have been served by the Villa Group Timeshare. From its beginnings in the 1980s, the Villa Group’s Villa del Palmar Resorts have been providing Mexico with hotel rooms and vacation ownership solutions that are affordable. The first of these solutions began on Mexico’s Pacific coast with the launch of Villa del Mar and Villa del Palmar resorts in the late 1980s. 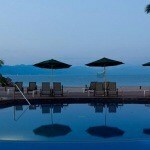 Villa del Mar was the very first resort in Puerto Vallarta followed by Villa del Palmar Timeshare. Once a little, traditional resort, Villa del Mar has 131 air-conditioned and fully furnished suites located beside the larger Villa del Palmar Puerto Vallarta complex. Its accommodations include an outdoor Jacuzzi, a private pool, and exclusive social areas and other facilities which are signature amenities of Villa del Palmar Timeshare Puerto Vallarta, like the Breeze Spa, a gym, restaurants, pools and beach access. Villa del Mar suites are built with kitchenettes, dining areas, balconies and one or two bedrooms giving that home sweet home experience for all its guests. Villa del Palmar Puerto Vallarta has enjoyed never-ending developments over the course of 25 years. Its successful operation is something to admire, especially when you look at how many renovations have been carried out in recent years and those planned for the future. Suites enjoyed extensive changes and even its entrance and motor lobby are now dramatic new features of this resort. These are only some of the great improvements and there are more to come, which keep its vacation ownership members happy with their investments. Suite options provide the best alternative for your accommodation preferences. Starting with the smallest Deluxe Studio where you can enjoy your own kitchenette and dining area up to the most luxurious residences. Traditional Mexican apartments come in one or two bedroom villas. The charming beach which is easily accessible from all of the suites at Villa del Palmar Timeshare Puerto Vallarta is yet another area to take pleasure in. Aside from these, your stay is full of the hotel facilities to make your stay more enjoyable: Pools, Jacuzzis, Bay Breeze Spa, and three gourmet restaurants including the Palmita Deli and more. Villa del Palmar Puerto Vallarta and Villa del Mar are ideally located in Puerto Vallarta’s hotel zone between the Marina and Downtown. This strategic location provides easy transportation access like buses, inexpensive taxis, or you can even explore Puerto Vallarta using a hired car. For your dining needs, Palmita Deli is on site with its mini-market filled with fresh ingredients for your culinary needs. There is even a shopping mall which has a cinema, banks, supermarket, and other stores just opposite the Villa del Palmar Puerto Vallarta resort. 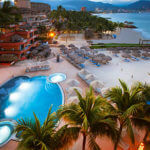 Share the post "Villa Group’s Villa del Palmar Timeshare Resorts in Puerto Vallarta"